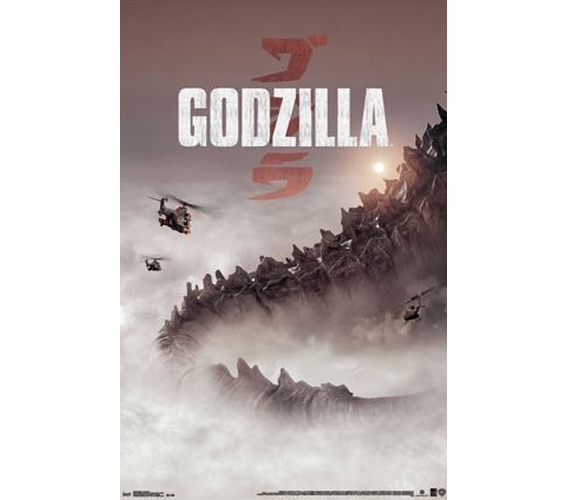 The hazy figure on this Godzilla - One Sheet Poster is perhaps scarier because he's not in full view. By leaving an element of mystery, he remains that much more menacing. Hopefully you weren't too scared to see the movie, though! And if you loved it, add this college poster to your dorm shopping list. It'll make for a cool movie poster for college that will keep your college wall decor looking original and intriguing. No, you won't have to go hiding under the cover of your twin XL comforter and sheets since you probably won't actually see Godzilla walk by your dorm window, but this poster for college will ensure he's always lurking! This is the sort of dorm poster that's part of the fun dorm stuff to make college life more memorable.